Location We are just a 2 minute walk from Shoreditch High Street Station and less than 10 minutes from both Old Street (Northern line and British Rail) and Liverpool Street Station (Central, Circle, Metropolitan, Hammersmith & City lines and British Rail). Description OPENING OFFER: 50% off first month, we do not charge VAT. Club Row Collective offers local start-ups and small businesses a flexible boutique CoWorking space in the heart of Shoreditch. 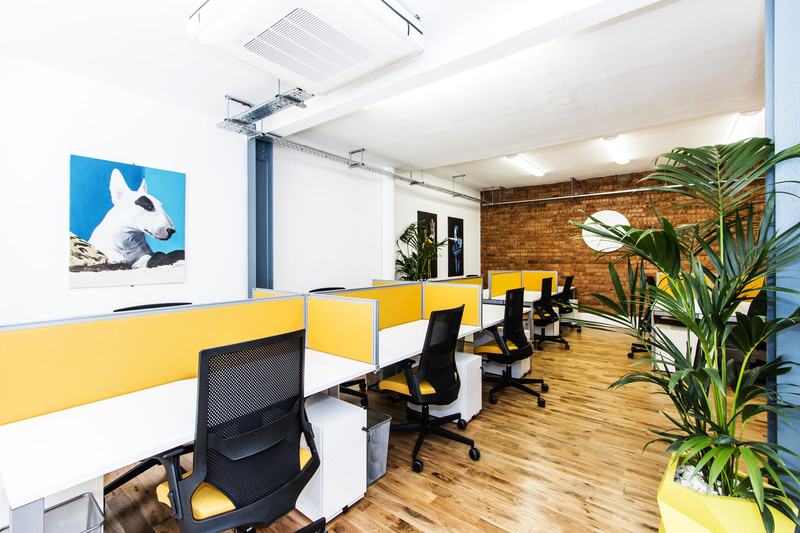 We have created a cool modern work atmosphere, offering 28 residential desks with flexible hot-desking options as well as virtual office services.